BERLIN -- Volkswagen Group's core VW brand will improve profitability and gain market share this year after posting stable operating results in 2016 thanks to cost cuts, brand chief Herbert Diess said. 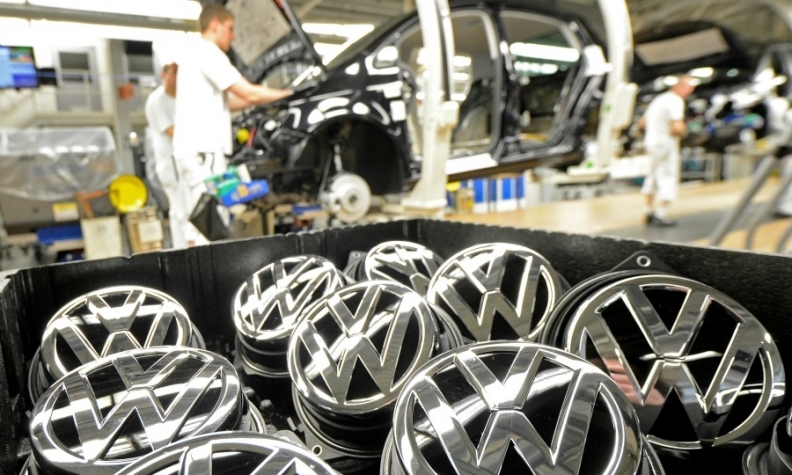 VW brand, the group's largest by sales, is cutting thousands of jobs via natural attrition, streamlining development processes and reducing the number of parts to revive profitability which has been lagging rivals such as Toyota and PSA Group. VW brand last year cut fixed costs by about 300 million euros ($320 million) in Germany alone, destination of over 9 percent of global deliveries of 6 million cars, Diess said at a press conference on Monday at the Geneva auto show. "Our work is already paying off. We have put ourselves in an excellent starting position for 2017," said Diess, who was known as a cost-cutter at BMW before he joined VW in 2015. Despite progress on cost cuts, brand management and the carmaker's unions have been struggling to implement a cost-cutting plan dubbed future pact, designed to lift profitability. The brand accounts for nearly half of group sales but no more than 11 percent of its underlying earnings. VW Group swung back to record operating profit before special items last year, powered by record deliveries of high-margin Audi and Porsche models. Detailed results for its 12 brands are due for publication on March 14.